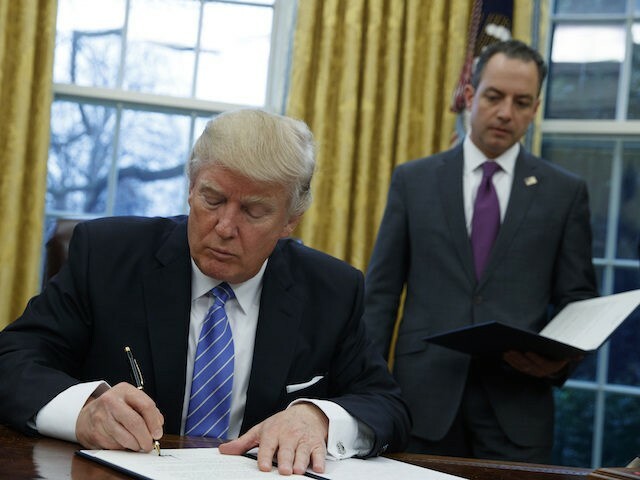 Donald Trump Executive Actions Kill TPP.. The only reason I am posting this is because some questions have arisen in the minds of some as to why this happened in the way it did. Some students of prophecy know for a fact it can be a bit confusing when we look at Scripture and see how the Vatican's New World Order will definitely come to pass and the TPP was one way to get the leaders of each nation in bed with the Roman idea of splitting the planet into ten separate regions so as to make sure the golden carrot being dangled is well funded. But as students of prophecy, we are not only to stand firm in the fact it will happen just as it was written because Christian prophecy is a declared fact, we must also be wise as the serpents that are behind all this crafty political banter by proclaiming the truth of our King Jesus while at the same time as gentle as the doves we have been prophesied to emulate so as to better appeal to the heart rather than the flesh. Trump is now president. And so he is our new leader and being as such we must pray for the man's office as well as his character just as we did all the previous presidents. I mention his character because everyone on earth knows how he loves to grandstand as well as have his name on everything he touches and that's why he's in that position. (I will explain further in a moment) We also need to understand that he does not like Obama because as mountains of documented facts have proven, Obama is not only a Muslim he was never legally our president the last 8 years. He was not born in the USA and now that his well-funded media machine is no longer being flooded with cash to puff him up, they no longer have the desire to shore him up and hide the facts for him, and so a new media game is about to start and protecting Obama and his political insanities simply isn't it anymore. That all being said. Why is Trump nixing the TPP? As far as I can see it, there are 3 reasons. #1, Since Trump now has the power to do so, he will joyously liquidate anything Obama did in Office because he truly believes he was an illegitimate leader and therefore does not want him to have a confirmed legacy in America. #2, Trump knows the TPP deal is a bad deal for America and he can use that excuse to renegotiate the deal so as to make it more attractive to American businesses seeing how he is one of the elites who will benefit greatly from it. And that leads me to #3, which is removing Obama's name from as much as possible by renegotiating everything from TPP to Obamacare. This will allow His name to be applied to some real whoppers in global politics that have real staying power. Basic reality is, the foundation under the original TPP will remain, as it is one of the most powerful global deals ever to be made by man. But as Trump see it, it can be bettered and so he will go for it. And the way Obamacare was set up so as to assure every soul on earth takes part is another deal Trump wants to sign his name to for obvious reasons as well. His desire to showboat cannot be ignored here. His campaign proved that hands down. As Christians we know that pride is one of the seven deadlies. (See Proverbs 6:16-19) And so it is here where Satan shines the most whenever he seeks to control any man or woman on earth. And what better man to assure the ten toes of Daniel find a comfortable sandal to wiggle in than one who places his name on every building he owns in big gold letters for all the world to see? Signing his name to some Vatican contrived deals Obama couldn't structure well enough for the dying god of this world is one way Trump can place his name in big bold letters for all the world to see. The temptation to declare TRUMP has come to town is not something he wants to deny. Especially since the enemy of souls can make the excuse of how his children can benefit long after he's gone. Whether Trump knows it or not, Satan will use him like he does anyone that grants him permission to do so. And the more powerful the position of the man the more damage Satan can do with that man. Seeing how Trump is a builder and one who knows how to make international deals, Rome needs his talents to make sure their NWO agenda goes global much quicker now. The present TPP as we know it will be scrapped yes. But the prophecy of the ten toes of Daniel will still be fulfilled. It will just be set up in a way wherein a man known to bow to the temptation of self-glorification can stand in its limelight while doing so and Satan can work well in that area. 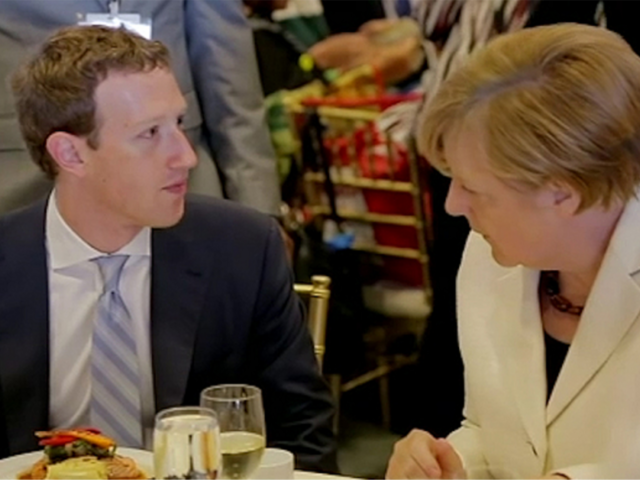 After all, something this grandiose is something Satan also seeks glory in because when those ten toes start wiggling in their ecumenical sandals, he knows the means by which the mark of the beast's enforcement going global will be a done deal. Obama had his talents and was the perfect man for the job when it came to following orders and reading well-scripted teleprompters. And as we witnessed the last 8 years, all he really did was help Rome's homosexual agenda as well as increase the Islamic footprint in American politics. Not to mention his changes that brought a more socialist flavor to our legislative halls just as Rome commanded. But Trump's talent in the international arena is a no-brainer for the Pope in this one and so Trump will be used as long as possible to do the things for Rome Obama could never do. In other words, as I said a moment ago. The New World Order of Rome will come to fruition. The TPP will disappear, but only the name will be changed to prevent the uneducated from realizing it's going to remain business as usual in Washington D.C. as far as Vatican agendas are concerned. And yes, there's a lot more to Trump's reason for being there. The up and coming religious laws is one major cog in this wheel of Rome. And as the days go buy we will see how Trump's "friends" in the church will be very beneficial towards that end. But then, we expected and even warned of this even before the election didn't we? Basic reality is this. I did a Newsletter back in February of 2006 about the 600+ Fema camps on US soil that were designed to house citizens that were in disagreement with the powers that be. (dissidents) I am sure that number has doubled since and thanks to the way Walmart has been granted carte blanche benefits via the US government that allows them to destroy the much smaller mom and pop businesses in every city and even small towns in the rural areas by opening their massive doors wherein the small businesses could not compete against, they now (like the Catholic churches) have a huge building in every city in America that can be "re-purposed" to handle the influx when the soon to arrive Civil unrest (war) begins. No I am not a conspiracy theorist. I just state the facts as they are. 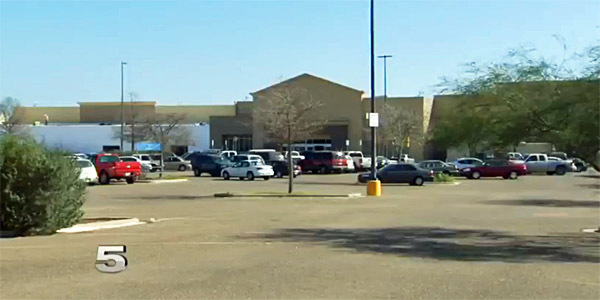 Walmart does lease the trucks, worse yet they even teamed up with the DHS to demand shoppers help them catch criminals. While's that's all well and good, how is it only Walmart had the contract to post such video portals in their stores? And while we're on the subject, why is it only Walmart receives literally billions in government subsidies each and every year? Or what of the strange construction around older Walmarts like the one in West Lafayette Indiana where some strange construction occurred not too long ago that looks suspiciously like a massive tunnel was put in that leads directly to the store? And no, I am not the only one that thinks this is a tunnel structure, nor is this the only Walmart that has done this. Check out this video. (NOTE: I didn't watch the entire video, so I cannot say how safe it is throughout) And why do they need security forces at supposedly closed Walmarts all over the nation? If the store is empty and abandoned, what can possibly be worth stealing? Again, no conspiracy theories.. just the facts. You know what this all means don't you? The fake news agenda is… FAKE. What I mean is, since the left didn't like the way they lost the US election they have now gone global so as to "police" what they deem "fake news" in other nations so as to assure a positive outcome on their end when the times comes for them to take the golden scepter. This is what Hitler did in his day. Anyone against his Vatican commanded insanities were declared war criminals based on a Vatican definition of dissension. And how do I know the fake news "police" are going to lean to the left and by no means do this policing in an unbiased fashion? The fact they mention one of the fact checkers as the government owned and operated "Snopes" website makes it painfully obvious the fix is already in before it starts and therefore free speech will be off the table unless of course it leans to the left. And how do I know Snopes is government owned? Snopes, who has been tagged more than once as a "tank for Obama" and one "heavily financed by George Soros" is nothing more than a Vatican approved propaganda machine painted as a legit source of truth to the sheeple they have been able to herd the last few years. In fact, one thing many people that have had legitimate battles with AMA vaccines can attest to is that whenever their story goes viral regarding how their children were maimed or killed by AMA vaccines Snopes will jump online and declare their stories a hoax when in fact it's been confirmed many times and quite often on video to be factual. Snopes.com has an obvious leftist agenda when it comes to assuring the AMA gets their billions so that those in DC that built Snopes.com keep getting their millions per each silk lined pocket. And it's not just regarding vaccines either. They protect manufactures of such deadly food additives like aspartame and glysophate just to name a few. In short, just as one of the article authors stated, "Snopes is just another voice for the status quo" and so having them as part of Facebook's police farce against free speech lets the cat out of the bag. But then, most people will no doubt go to Snopes and read their next "false" post declaring all those websites exposing them are bogus as well? I guess to bottom line reality here has to do with what side of the fence you're standing on? Are you in the coral of sheeple or outside the fence trying to help some out of the herd?